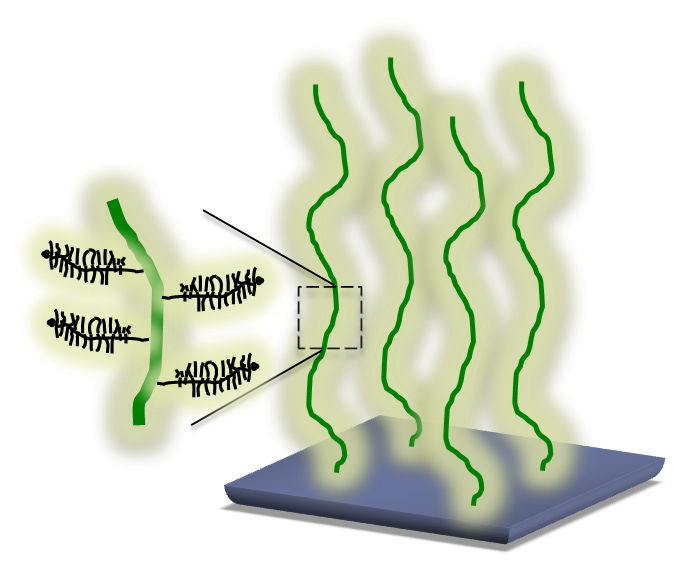 The focus of this research is to establish methods to measure and to study transformations of the pericellular coat during physiological events like tissue aging or cell migration in order to understand the structure-function relationship between the coat's material properties and its biology. More. A cadre of proteins have been identified that interact with, crosslink, and bundle hyaluronan (HA) into unique structural and functional supermolecular complexes. These hyaluronan binding proteins, such as TSG-6, versican, and SHAP, have been thoroughly investigated in their interactions with short oligosacchardes of HA. Fewer studies have been performed to characterize their influence on longer HA molecules frequently present in tissues, or their effect on solutions of HA. 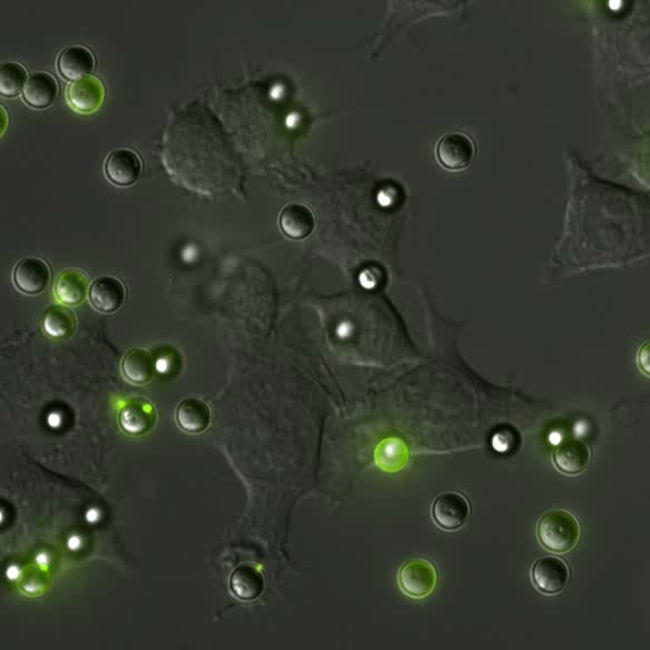 Our research program aims to characterize the supermolecular aggregates and networks formed by protein-HA interactions using a variety of techniques, including microrheology, Fluorescence Recovery after Photobleaching (FRAP), and light scattering. This work is complemented by our studies of another common HA-protein structure in tissues, the pericellular coat. Phagocytosis is the process by which certain specialized cells "eat" other objects or cells in the surrounding tissue. The process involves large deformations of the cell membrane, driven by a complex machinery of proteins including actin and molecuar motors. While quite a bit is known about the assemblies of proteins involved in this process, little is known about how they work together to exert the mechanical forces needed to deform the membrane and ingest external objects. We are developing a three-dimensional force probe to detect the forces of phagocytosis in real time. Ultimately, we will use this new force assay to systematically probe the functionality of various proteins through genetic manipulation. In collaboration with Georgia Tech researchers Elisa Riedo, Seth Marder, and Bill King at UIUC, we are developing a versatile high-speed chemical nanopatterning technique called Thermochemical Nanolithography (TCNL). Using a heated AFM tip, TCNL works by deprotecting active chemical groups in a polymer film, such as amines or carboxyl groups. Many of our projects require the development of new tools to facilitate our research. From biomechanical measurements with holographic optical tweezers, to our original phagosensor technique, to protein nanopatterning with thermochemical nanolithography, the Curtis group actively pushes the limits of existing techniques and invents new approaches when appropriate.